Up to four players can split-screen to build, hunt, harvest, and explore together offline. Split-screen requires the Xbox 360 to be running at 720P or higher resolution via an HDMI, DVI, VGA, or component cable. Online co-op supports up to 8 players, which can consist of any combination of split-screen players. This page contains co-op info for Minecraft: Xbox 360 Edition on the Xbox 360. 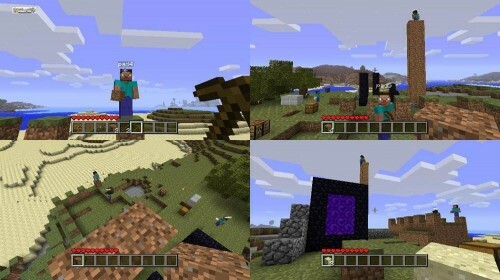 All information about Minecraft: Xbox 360 Edition was correct at the time of posting. Information is subject to change. If you see any errors please email us.